This is a funny email conversation I had with a few of my sisters. I share it to let you into our world. This is the real deal. (Sorry ahead of time if I offend anyone. I was emailing way to late when we were having this exchange.) I ask you this: Do you peel a peach before you eat it? Carol: I just read the funniest thing on Facebook that cracks me up. My friend that I’ve known for 10 years just put this on Facebook. She has 62 comments and all but four say to “eat the peel”. The ones that said “peel the peach” are mostly from the South or hate fuzz. Janet: Of course, I say eat the peel. It’s not even that fuzzy if you wash it. However, Rob would disagree. 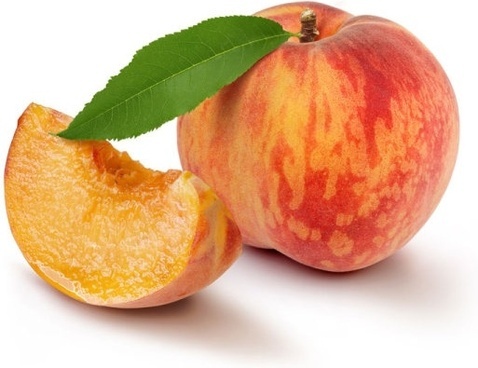 He grew up with peaches right in the backyard, but rarely ate a fresh peach! If he did, it was peeled and sliced for him, put in a tiny custard dish, and served with sugar on top. They were all bottled and eaten bottled! He has slowly squired a taste for fresh peaches since we’ve been married, but he still rarely eats them (unless I peel them, sugar them, and serve them w cream). So interesting, though, for sure. Janie, do you have tiny custard dishes??? You’ve probably all heard my story about when I went to dinner at the Duncans for the first time and we had ice cream – one, perfect, small scoop – in the little custard dishes. They scooped it out of one of those big plastic buckets, by the way, and I thought it was a joke! They were surely playing a joke on me!! I ate mine in a flash and expected them to offer me more, but they put the lid on it and put it back in the freezer! I was shocked, confused, mystified. It was not a joke. I came to learn, though, that Alldredge ice cream quantities seem to shock, confuse, and mystify lots of people. Haven’t you all found that as well? Food quantities and food crudeness, are both at a shocking high in our household. Nathan ate a bell pepper like an apple at work one day and shocked and amazed his colleagues (fellow teachers in TX). Other parents have been envious of my toddlers’ eating habits: “I need to have my Johnny spend time at your house and may be he would eat as robustly as your George! I can’t get him to eat anything but graham crackers.” Of course, they want to keep their distance when I’m also allowing my children to cut their teeth on sticks and small rocks at the playground;) I’ll be careful not reveal that we also eat our peaches…..peel on!! Kristin: LOLOLOL! on all accounts! I am feeling very prissy since we have somehow reduced our ice cream quantities to one scoop in recent years (and we have little custard dishes, I am embarrassed to say, but we don’t have huge buckets of ice cream in contrast. I don’t remember hearing that story! how funny!). I have witnessed the Seamans eat ice cream and it is a sight to behold. Deek – I love how you word it “robustly” “Your George” “cutting teeth on sticks”… LOL! The Shaeffers LOVE watching us eat, especially Adam, who has a reputation that puts many to shame. He can eat more drumsticks, fried eggs, or ham than the rest of the extended Shaeffer family. Adam is definitely a carnivore. Carol – you cultured sister you! Ricotta with pear? wow. a youth hostel in Vienna! – how cool is that?! I have received a lot of comments on what good eaters my kids are too. Desiree, Ben, Chuck … they all are amazed at the variety of foods we eat and how I know how to make so many things. I remember Desiree, when she first moved in asking about our water drinking habit. “Your kids will drink water? !” Yes. “Do you have any juice?” No, I don’t buy juice or soda. “What do you drink then? !” We drink water. “That is all?” Yep. She quickly got use to it and I would imagine was quite liberated by the thought of having instant satisfaction to your thirst by turning on a facet. When I first married Marty, the Shaeffers were big into peaches. They had 5 acres of peach trees and we had peaches at every meal. Peaches for breakfast, peaches for lunch, peaches or peach cobbler for dinner. The peaches were so big and juicy that if you peeled them the juice would run down your arms and drip off the ends of your elbows. Nanny ALWAYS peeled her peaches! I ate them both ways. PS: I am craving peaches right now!!! That’s awesome! Wow! What a description! I am craving them now too! Thank you for your experience. Peel or no peel, peaches are a gift from God! Isn’t it miraculous that something can be so juicy and delicious? Especially when grown in Colorado. Yum! More peaches: One day about 7 or 8 years ago Kay and I were at home alone (at your house) and you had a full jar of peaches in the refrigerator. She got them out and served us each a bowl of peaches. Then we had another. We couldn’t stop, and we finished the whole quart of peaches. Can’t tell you how many times I have wished for another jar of peaches just like that! We didn’t tell anyone. Till now. Kay probably confessed so this may not be news to you! But if it is, please forgive us.